Crisp air, the crunch of autumn leaves and holiday festivities are what people look forward to come the end of summer. When the warm days drift away, don't spend the cool seasons hibernating under a blanket—Boston is the perfect New England city to welcome fall and winter, and the town comes alive with events and activities. 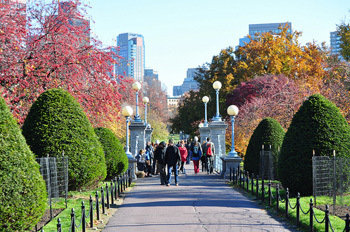 Come experience the many fun things to do in Boston in fall! While you still have the chance, don't miss the opportunity to see the Science Behind Pixar exhibit. This temporary Museum of Science exhibit offers a behind-the-scenes look at the science behind the studio responsible for some of the most-loved animated films of the century. With more than 40 interactive elements to play around with, the Science Behind Pixar showcases the technology that brings the beloved characters to life. There are eight sections focusing on the different aspects of the Pixar filmmaking process, from modeling and rigging to animation and lighting. An amazing experience for young and the young at heart, this exhibit is an once-in-a-lifetime opportunity to understand the intricacies of the Pixar process. On clear Friday nights through mid-November, head to the Gililand Observatory on the roof of the Museum's parking garage to view stars, planets, the moon, and more!! This free activity is kid-friendly, but adults are the ones who are really wowed. Astronomy After Hours is held from 8:30pm to 10pm with inside astronomy-related activities on cloudy nights. For only one day out of the year, children, teenagers and adults ditch their day outfits for an entirely new wardrobe. Pirates, witches and giant pumpkins parade the streets for candy, and the orange and black décor, silky spider webs and candle-lit jack-o-lanterns make the entire holiday a festivity worth celebrating. But, in Boston, you can take Halloween celebration to the next level. From Salem ghost tours to festive pub-crawls, there are plenty of treats awaiting your arrival. If you're into Halloween for the sheer thrills and chills, you probably know about Salem's rich, albeit creepy, history. For the entire month of October, Massachusetts celebrates the haunt of Salem with guided ghost tours. Less than an hour away from Boston, Salem becomes a real Halloween town with festive carnivals, concerts and parades. The night ghost tours are so popular it's recommended you make reservations ahead of time. Discover the hysteria of the Salem Witch trials with a haunting tour that'll rattle your bones. If you're looking for some good, old-fashioned, free fun, the Boston Red Sox are hosting a family-friendly Halloween party on October 30th. Don't worry if your name's not on the list, because…there is no list! Children and adults will get the chance to trick-or-treat around the Fenway track and watch the classic Halloween flick Ghostbusters. The trick-or-treat fun and the movie are free and open to the public. Try fun activities such as face painting, balloon art, stilt walkers and more! Show off your best and most creative costume and enjoy the Halloween hoorah with the beloved Boston Red Sox. Boston loves pub crawls. Boston loves beer. If you're 21 or older and enjoy a good time and a good brew, the Halloween Pub Crawl might be your ideal Halloween celebration. Get your costume ready--more than 12 bars will be waiting for your trick-or-treat. Come on boils and ghouls, it's time to release the spirits! The Freedom Trail is arguably Boston's most popular attraction. It's deep-rooted in history and harbors some of the greatest stories of the American Revolution. With each step you take, a piece of history is unearthed. 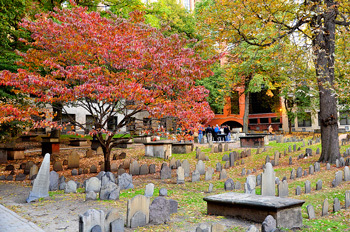 But with history comes spirits, and in the old city of Boston, they're around every corner. It's a common belief that spirits and ghosts come out to haunt the living at night. 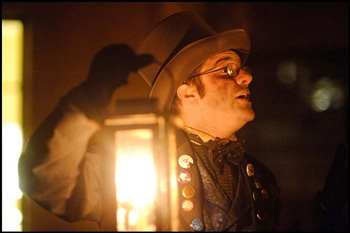 If you're into ghost stories and are looking for an interactive experience, the Freedom Trail Ghost Tour is calling your name. This 90-minute tour, guided only by lantern light, leads participants to sites of documented ghost encounters such as Boston Common and Boston Harbor. On the tour, you learn about the 1660 hanging of Quaker Mary Dyer and other lost souls. The creepy tour will get your blood pumping—just don't fall behind lest a ghost find you first. The celebration of ghouls and spirits isn't exclusive to Halloween. Dia de los Muertos, or Day of the Dead, is a traditional Mexican holiday celebrating ancestral spirits. The festivities of Dia de los Muertos are so colorful and exciting; the holiday has spread far beyond the borders of Mexico. Everything worth celebrating in the fall is celebrated in Boston. Enjoy authentic Mexican food, dancing skeletons and Latin music as you honor the lives of loved ones who have passed on and memorialize the spirits of your ancestors. At Harvard University in Boston, Dia de los Muertos will be celebrated on Oct. 30th with music, food, and folk art. Purchase your tickets online to reserve your spot today! As said before, if there's anything you really need to know about Boston, you better know beer. We're not talking the kind of beer you can buy from any grocery store, we're talking real, foamy, craft beer. You'll be diving into a brew-tiful fall adventure. 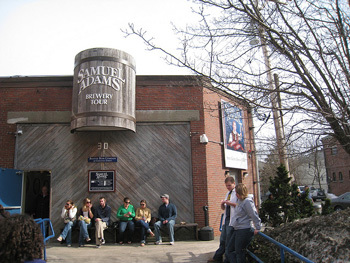 Craft beer tour include a variety of 12 or more craft beers, a lunch and beer tasting, and round-trip transportation, but you can also stop in at most Boston breweries for a more intimate tour of each facility on your own. Harpoon Brewery, Cambridge Brewing Company, Idle Hands Craft Ales, and Samuel Adams are just a handful of the breweries that participate, though Boston has plenty of craft breweries. Most breweries offer tours and tastings throughout the week. No matter how you tour your craft beer, if you're looking to escape the chilly weather, a cozy brewery might just be the getaway cave you've been looking for. Beer is known for warming you up, and we can't think of anything better than a hot meal to go with your cold beer. What better way to see the autumn colors than 700 feet high up in the sky? At Boston's Skywalk Observatory, you'll have a crystal clear view of Boston 360 degrees around. The self-guided audio tours provide visitors with interesting information about some of Boston's most treasured landmarks. The summer views, although nice, are known to get a little hazy. In the crisp fall and winter months, the nighttime views are incomparably stunning. The occasional autumn fog hangs over the rusted trees like a misty blanket, and the panoramic view makes the Skywalk Observatory a great place to take plenty of pictures. In the winter, the snow is a wonderful contrast to the urban jungle beneath. If you're new to the city, the Observatory might be the first place you'll want to stop at; you'll have the best perspective of the city right off the bat. The night lights are definitely worth seeing. Looking to experience the best that Boston has to offer this fall? The Boston CityPASS gives you 47% on admission to the 4 best attractions in Boston, plus lets you skip the ticket lines. Plan your trip to Boston today!